I wasn’t all that annoyed with Drake’s prank. Meeks didn’t have a whole lot to say, to be honest, so it added some much-needed color to the interview. Instead, while driving back over the Verrazano that night, I pondered to myself: How in the world was Drake the same guy I used to watch on television at 4 a.m. back in 2004? When you work overnights, you need to make sure you have a surplus of two things: Sustenance and mental stimulation. During my year as an overnight web editor, I’d take the last bus to New York City equipped with all sorts of homemade meals in Tupperware, microwave popcorn and various other rations, and I’d eat pretty much all night to keep myself awake. My finest discovery was some weird channel named “Noggin” geared toward teens, which showed reruns of My So Called Life at 5 a.m., kind of like a visit from an old friend. I was even more intrigued with what they ran the hour before: A Canadian teen drama called Degrassi, which pretty much only had “very special episodes” dealing with stuff like underage drinking and eating disorders. The guy who would become Drake played a kid paralyzed from the waist down as the result of a school shooting. Five years later, I was stunned to find everyone touting Jimmy Brooks from Degrassi as the next big thing. I downloaded his mixtape and liked how it sounded, though I couldn’t fathom why he endlessly bemoaned the trappings of success when he hadn’t yet accomplished anything. This angst, of course, became a hallmark of his catalogue. I began to follow Drake’s career, purchasing his debut CD in June 2010 from a 24-hour Best Buy following a work shift that ended around 4 a.m. Fittingly, the sun was coming up by the time I arrived back in New Jersey. That October, my then-girlfriend allowed me to drag her to a concert at Radio City Music Hall in which we were obviously the oldest non-parents there. (And that’s accounting for Montana being 24 at the time.) It was a similar situation a year and a half later, when Montana, by then my fiancee, took me to see the Club Paradise tour in a driving rainstorm, the night before Drake chucked bottles at Chris Brown in the club. The teenagers around us slid down muddy embankments without a care in the world, while we bundled up in massive parkas and had a great, if sensible, time. All along, what has piqued my interest about Drake is his intentionally grim modus operandi. Belying his carefully curated persona as hip-hop’s Gloomy Gus, Drake always appears in theory to be having a pretty good time, and why not? He’s young, rich, reasonably talented and friends with LeBron James. There’s probably at least some truth to the nonsense he’s rapping about — maybe he really is pretty lousy with women? 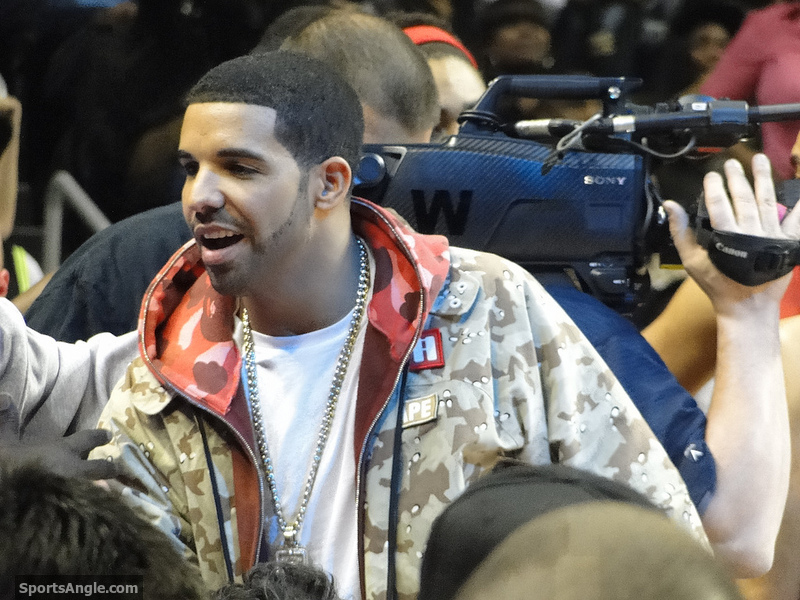 — but for the most part, it seems like everything’s coming up Drake. Not to mention, like a politician, the guy has mastered the art of being everything to everyone. Five days after he went on SportsCenter gushing how he’s a die-hard Heat fan, he took some trumped-up position or somethingÃ‚Â in the Raptors’ front office.Ã‚Â I don’t know very much about soccer, but I know Drake shouts out a different team every time someone wins a match.Ã‚Â If you’re into R&B songs for and about women, Drake has you covered; if you prefer straight-up rap, well, Drake can sort of pull that off too. Whatever you want him to be, that’s what he is. With apologies to the great Jimmy Tobin, I’m admittedly at least something of a Drake fan, though I’ve never been able to quantify how much of that is ironic. I like Drake, but I’ve also come to join the chorus that enjoys mocking Drake for being soft and such, especially after his stunt at the Jordan Classic. 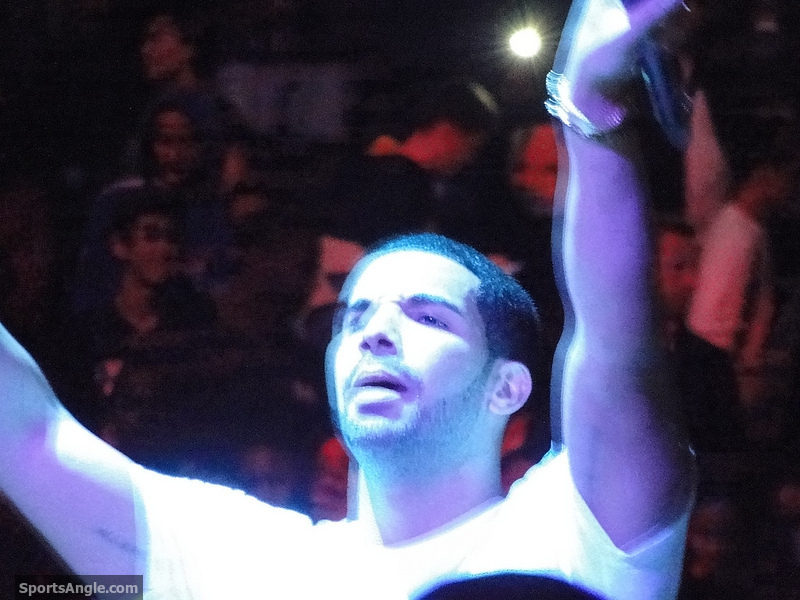 In terms of Drake’s music, it has its place for me because it’s relatively accessible. If I’m just driving to the supermarket or something, sometimes I’m not necessarily in the mood to put on Mobb Deep or Necro. Whatever, throw on some Drake. It’s kind of the fallback option, like when my wife and I don’t want to invest ourselves in an hour-long television show, so we default to whatever’s on Food Network. But primarily, I’ve honestly come to view Drake as a human measuring stick. Whenever the guy does something, I think about how far I’ve come from watching Degrassi in that empty office. There was a lot I didn’t like about that completely nocturnal year, namely that I virtually never saw my friends or family. But it was nonetheless an amazing time for me — first real job, first place of my own, sink or swim.Ã‚Â Some of those nights seemed endless, and I was tired literally all the time. But riding the subways at 1 a.m. with the freaks and junkies hardened me up quite a bit, and there was a certain sense of clarity that came with being alone with my thoughts while seemingly the entire world slept. I dreamed a lot back then, and tried to imagine how it would all turn out. Almost a decade later, I’m married to my best friend, we have a wonderful puppy and I see the sun most days. It’s almost like that overnight year never happened. Then Drake interrupts my interview, and it brings me right back to some very dark nights, with the dawn never quite as far off as it seemed.